Love decorating your home for Halloween? 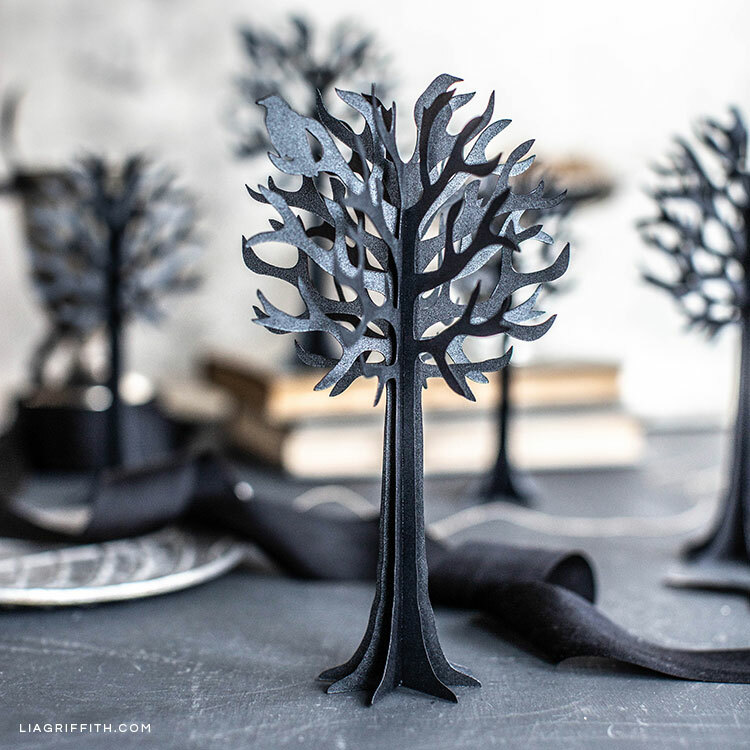 Create a creepy vibe with our 3D paper tree Halloween decorations. 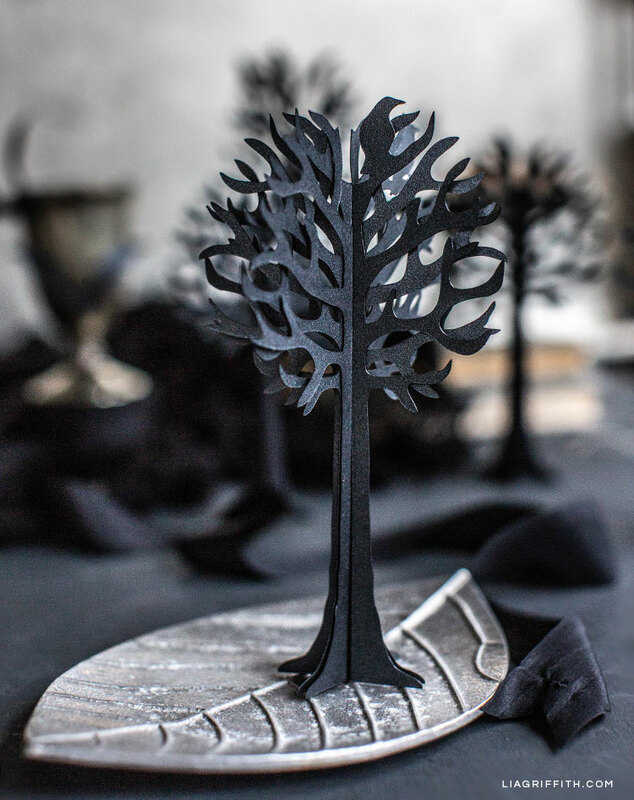 You could put these trees on your mantel or add them to a haunted village scene. They’d also look great next to our Halloween lanterns. Don’t have too much time to spare this October? 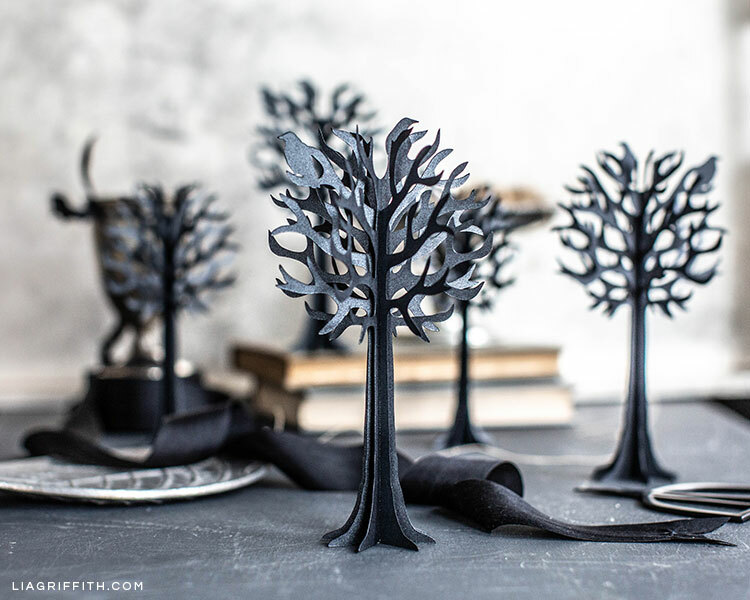 These 3D paper tree Halloween decorations are super simple to make. 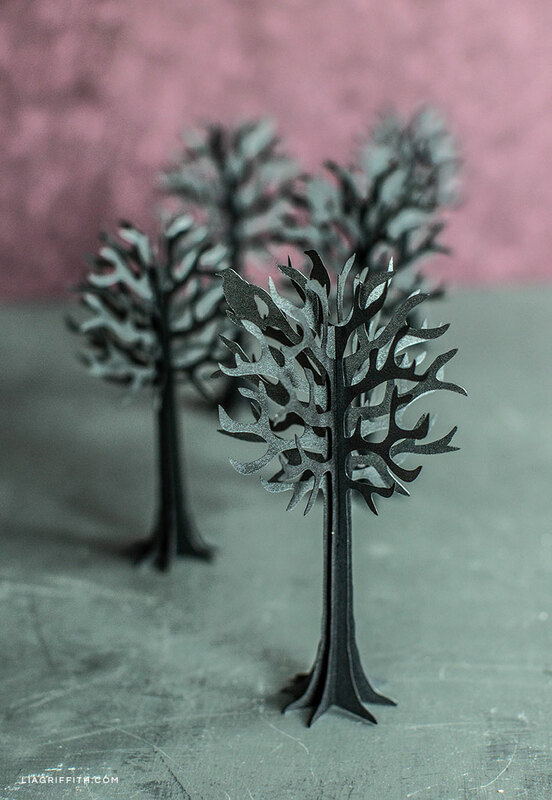 And thanks to our friends at PaperPapers, the template for these trees is FREE! To make this DIY project for Halloween, you’ll need the tools and materials listed here. 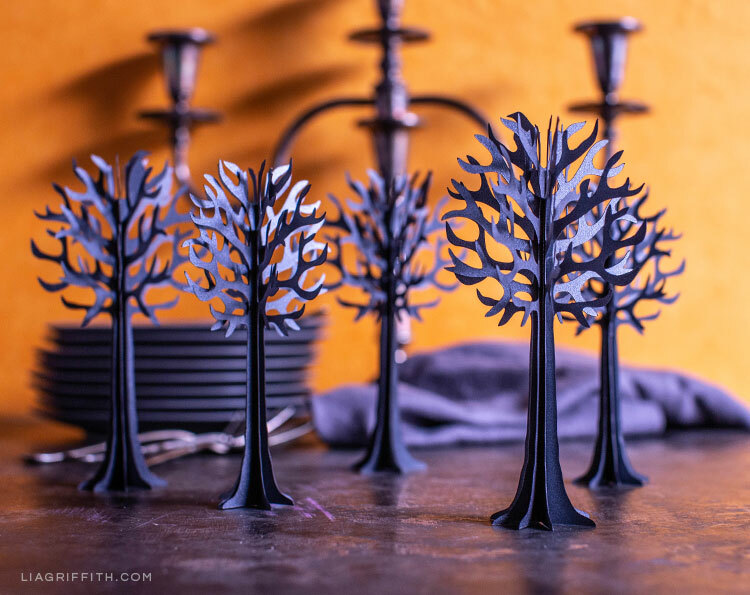 While you could use regular paper, we went with metallic paper to give our 3D trees even more depth. It also makes them pop a bit more. 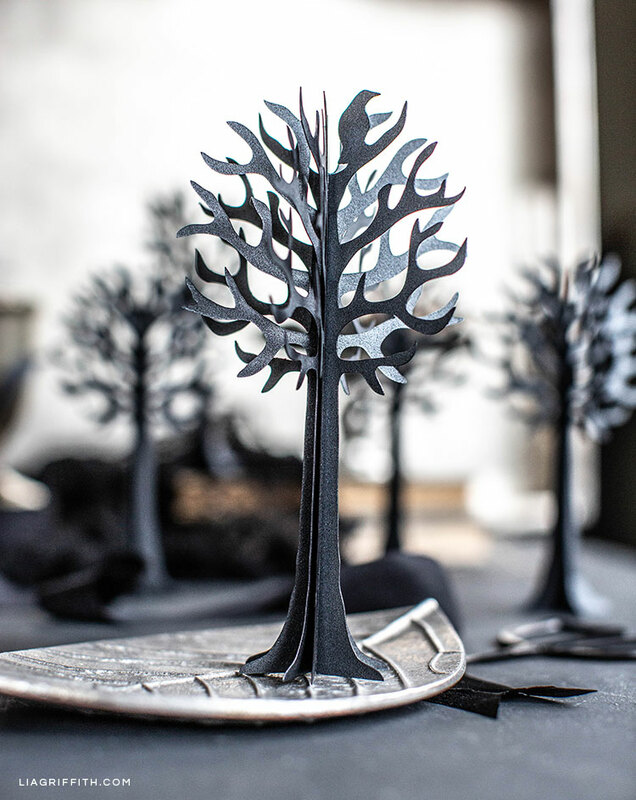 For each tree you make, you will need one sheet of paper. Next, download your free SVG cut file or printable template below. You can also download the instructions or head over to PaperPapers for the photo tutorial. You can download our instructions below or follow our photo tutorial over at PaperPapers. 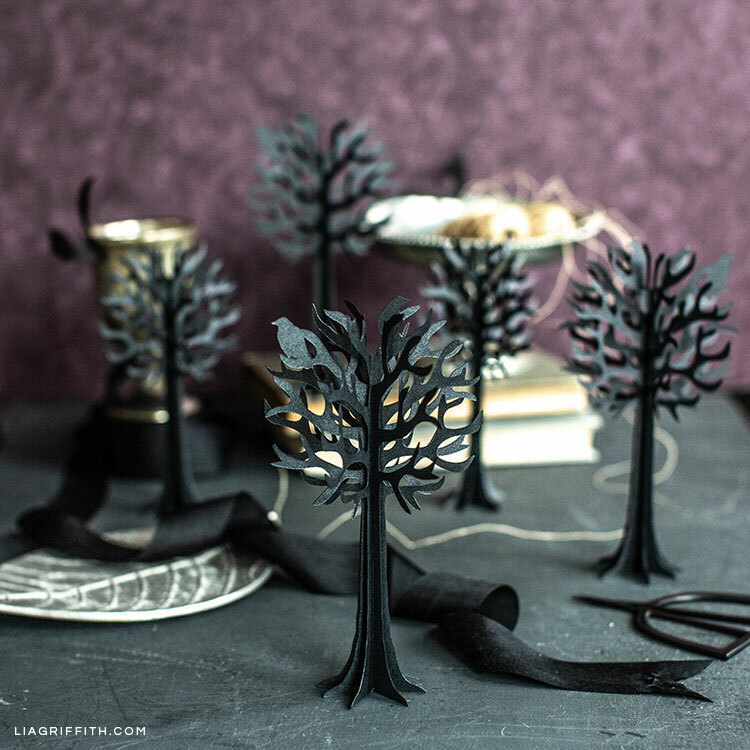 Want more Halloween decorations that are simple to make? What about DIY costumes? You can find all of our Halloween crafts here. We’d love to see your Halloween crafts, too, so don’t forget to use the hashtag #MadeWithLia when you post your pictures! You can also explore the hashtag to see what our members are making. If you’re interested in joining our crafting community, we have two membership options. Membership gives you access to all of our DIY projects as well as other fun perks. And for daily inspiration, make sure to follow us from your favorite social platform. You can browse our latest DIY projects and video tutorials on YouTube, Pinterest, Instagram, Twitter, and Facebook.